A country of striking features and a strong indigenous culture, Guatemala’s natural beauty and powerful identity stand in stark contrast to its bloody past and troubled present. Mountainous, heavily forested and dotted with Mayan ruins, lakes, volcanoes, orchids and exotic birds, Guatemala is one of the most beautiful countries in Central America. Its indigenous population, the Maya, make up about half of the population. 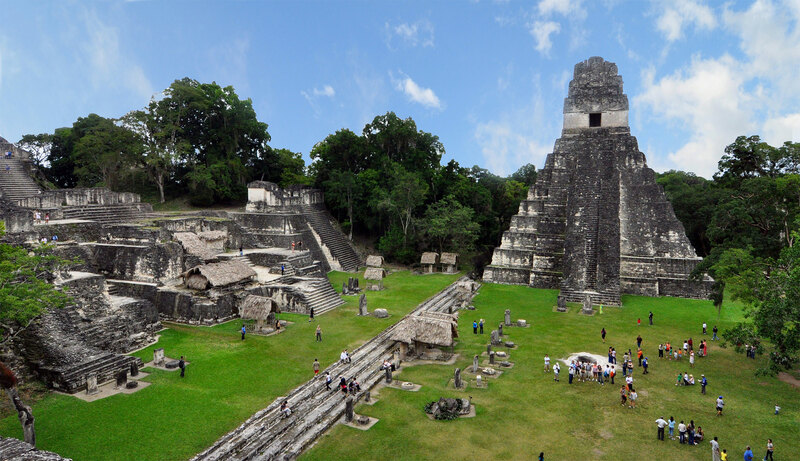 Mayan languages are spoken alongside Spanish, the official tongue. Many Guatemalans are of mixed Amerindian-Hispanic origin. Guatemala’s beauty and strength of identity have not been accompanied by cohesion and prosperity. In 1996 it emerged from a 36-year-long civil war which pitted leftist, mostly Mayan insurgents against the army, which – backed by the US – waged a vicious campaign to eliminate the guerrillas. More than 200,000 people – most of them civilians – were killed or disappeared. Despite an official finding that 93% of all atrocities carried out during the war had been committed by the security forces, moves to bring those responsible to account started only after a long delay. Social inequality is a major feature of Guatemala. Poverty is particularly widespread in the countryside and among indigenous communities. Illiteracy, infant mortality and malnutrition are among the highest in the region, life expectancy is among the lowest and, in common with many of its neighbours, the country is plagued by organised crime and violent street gangs. It is a major corridor for smuggling drugs from South America to the United States. Despite talks and international mediation, a long-running territorial dispute with neighbouring Belize remains unresolved. Guatemala lays claim to thousands of square kilometres of land.